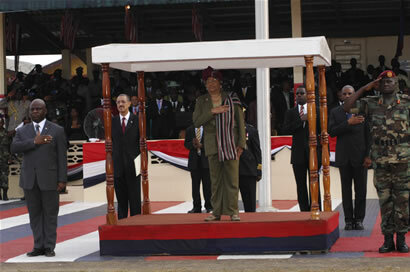 President Sirleaf delivering her Annual Message. 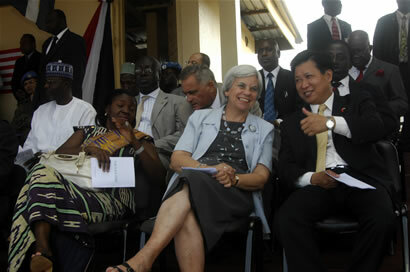 The Chief justice and Associate Justices of the Supreme Court. 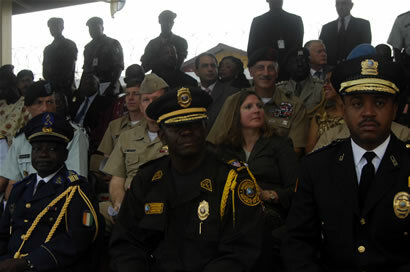 cross-section of lawmakers at the Capitol whilst the National Anthem is being played. 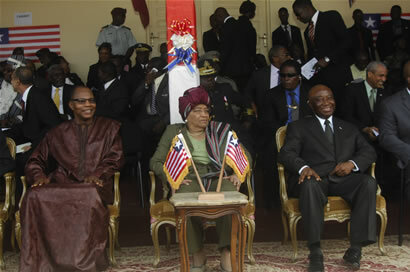 L - R Pres Sirleaf Speaker Nuquay VP Boakai and Dep Speaker Bachure. 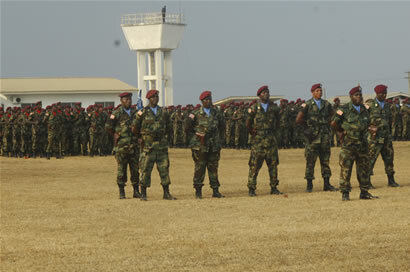 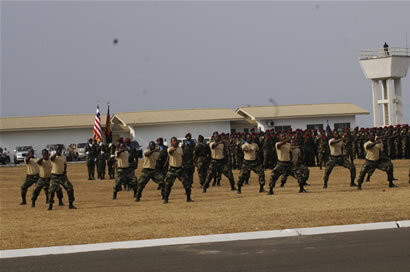 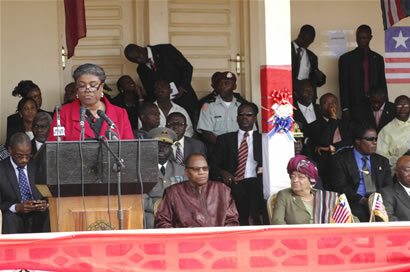 President Sirleaf speaking at the Unity Party Jamboree. 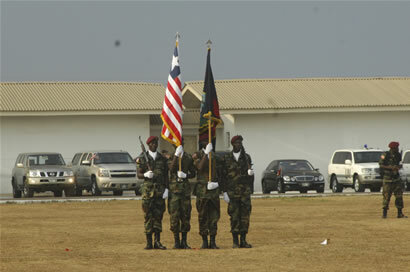 Vice President Joseph N Boakai making remarks at Unity Party Jamboree. 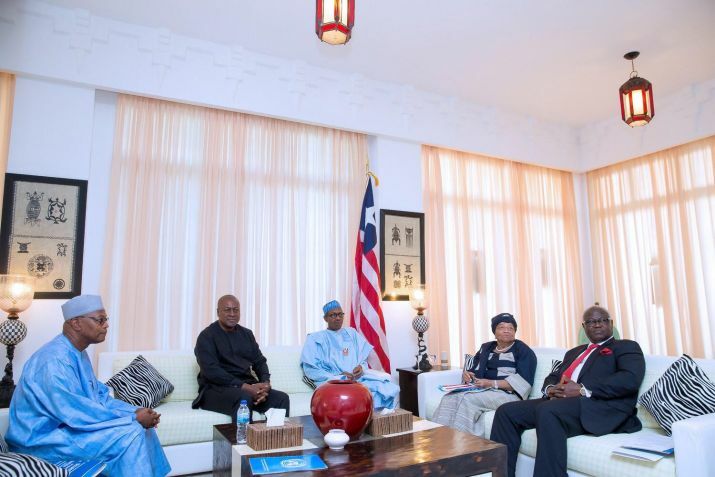 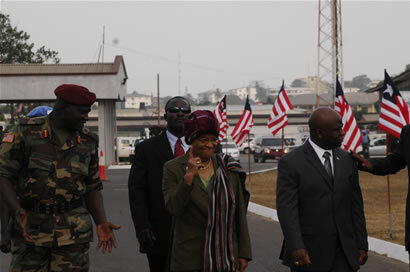 President Sirleaf been briefed by Finance and Development Planning Minister. 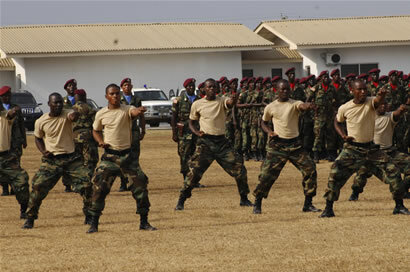 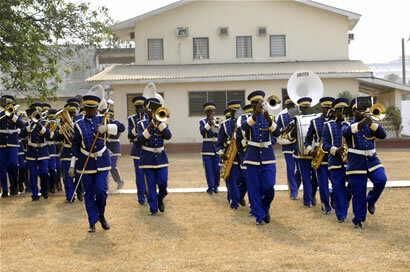 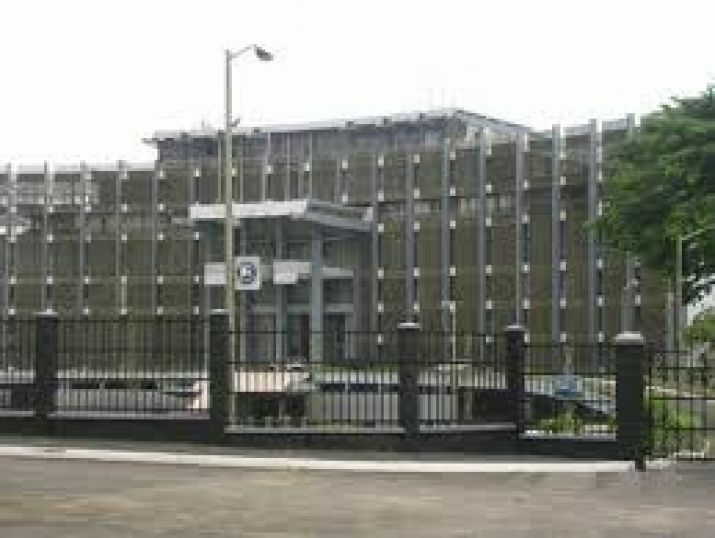 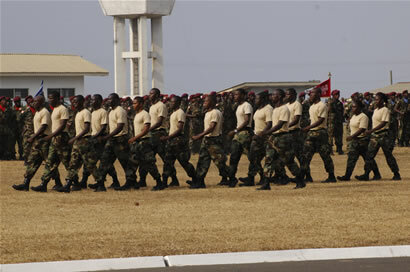 Ministry of State Investigates Reported Payment of Salary to Replaced Government Officials. 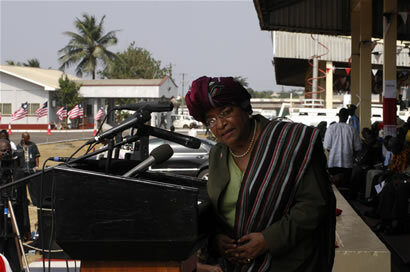 President Sirleaf Congratulates ECOWAS as Regional Group Celebrate ECOWAS Human Rights Day; Receives Special Envoy from Chad. 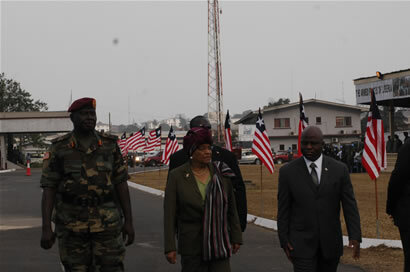 President Sirleaf at the opening of France Africa Summit. 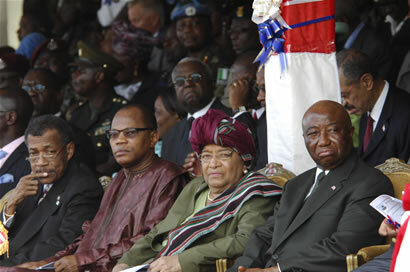 ECOWAS Chairperson Ellen Johnson Sirleaf makes a special statement at the Inuagural ceremony. 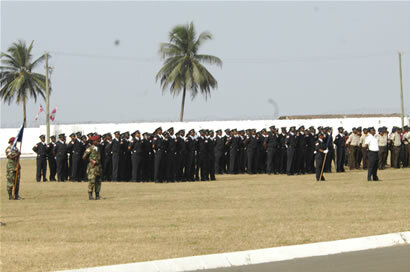 One of the many scenes from the Inuagural Ceremonies.